Cung Le’s Martial Arts Joins the Smash Gyms Family! BIG ANNOUNCEMENT! Two of the Bay Area’s Largest and Most Successful Martial Arts Teams are joining to create one Martial Arts & Fitness PowerHouse! Cung Le’s USH Martial Arts of San Jose is moving! Their Coaches, Team and Students will now be training inside Smash Gyms! 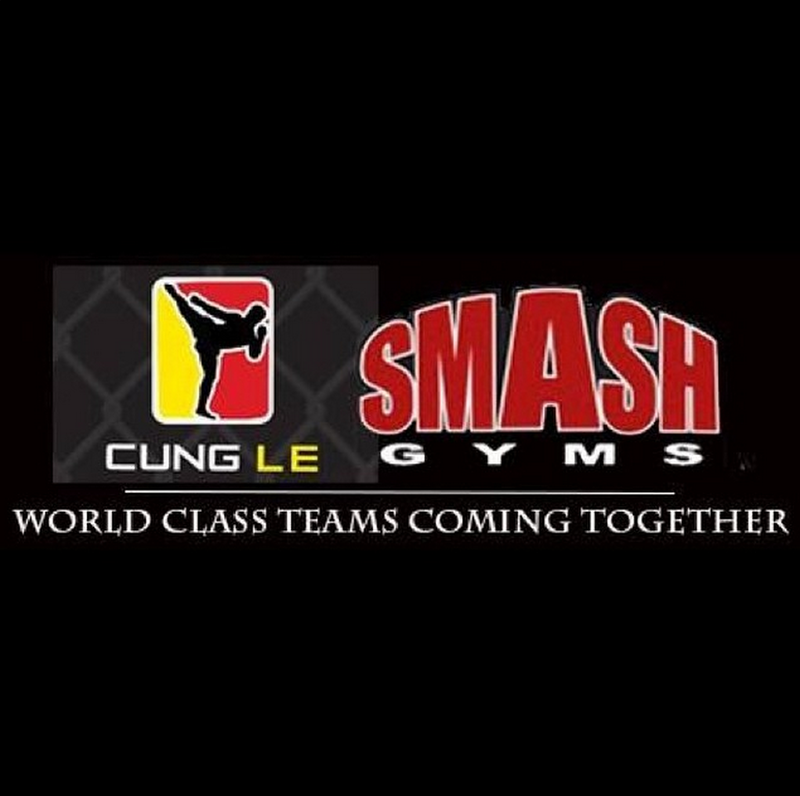 We are very excited about the joining of Cung Le’s Martial Arts and Smash Gyms. Two world class teams coming together to give the very best to our members and fighters. We’re looking forward to doing big things together! Thanks for all your support! Smash Gyms offers Unique Fitness Alternatives such as BJJ, MMA, Bootcamp, Strength & Conditioning, Personal Training, Yoga, Judo, Kids Classes and More! Try a FREE WEEK! Troy joined Smash Gyms in February 2014 to supplement his new rigorous fitness program. Troy began his journey because he was fed up with having to consistently buy new clothes to accommodate his growing weight. That’s when he decided that instead of making his next trip to the store for bigger pants, he made that trip to sign up at a gym. 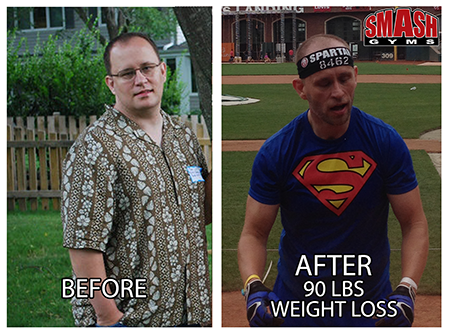 Troy has been training and dieting for approximately 2 years and has lost an impressive 90lbs. Troy is one of the most dedicated students a trainer could ask for. He has become a leader in the Morning Bootcamp Classes by motivating his training partners. He has an unbelievably positive attitude with tremendous dedication and work ethic. I had the pleasure to watch Troy run his last Spartan Race last weekend which inspired me to sign up for future Spartan races myself. Troy is currently working on his Spartan Trifecta which he will complete with Team Smash in October at the Sacramento Super. I’m proud to be able to run with such an all-around awesome guy. Summer Specials! Two Bay Area Locations! FREE WEEK! Try a Free Week of Beginner Friendly Classes! Smash Gyms Sunnyvale is located on Tasman & Lawrence near Great America and Levi Stadium. Smash Gyms San Jose is located across the street from Eastridge Mall in East San Jose and Evergreen. Classes Include Kickboxing, Boxing, Wrestling, Brazilian Jiu-Jitsu, MMA, Self-Defense, Yoga, UJAM, Zumba, Strength & Conditioning, Fitness Bootcamps, Judo and more! We have classes for the entire family! Our classes are all taught by expert instructors to make sure you have fun and get a great workout! Visit www.smashgyms.com to register for a FREE WEEK!